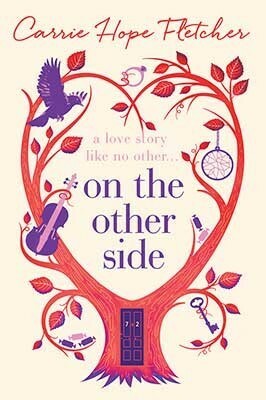 ‘On the Other Side’ is a fictional story about love and life values written by Carrie Hope Fletcher, famous youtuber and actress. It is the storyline that you’ve never seen before as it is told first at the end to the beginning.The book follows Evie Snow who is an eighty-two woman dying in her own bed surrounded by members of her family. Many people are dreaming of passing away like that, aren’t they? However, she finds that she cannot enter her private heaven as her soul is not light enough. Then Evie suddenly realizes that she looks like twenty-seven-year-old self and has to unburden herself by revealing three secrets which she has been hiding for more than fifty years. She will learn more about herself and other people and will completely change her mind about everything. Maybe she will somehow correct her mistakes and find her long lost love again, who knows. The journey in the afterlife begins and you will become a part of it, involved with the book. You will definitely fall in love with the main characters. They are so sweet and warm-hearted. Evie is an optimist and always tries to see good in every situation. Many readers will find a part of themselves in this wonderful person. And Vincent, her love, he is a boyfriend you can only dream of. The book is split into three sections for each of the secrets, and chapters from her past life are interspersed with chapters from the present. It really makes you feel for the characters and their situations. This romantic story will teach you treat every moment of your life. You will go through the charming world where the realistic mixes with the somewhat magical and unreal. ‘On the Other Side’ really touches your heart and makes you laugh at the same time and that is fantastic. Once you start you won’t want to put it down!